Weight Tracker is the best app in the app store to track your weight for the price of a chocolate bar! Losing weight is not easy. 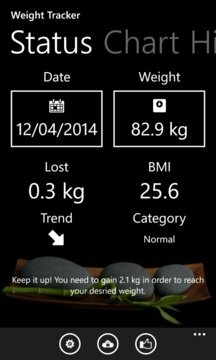 Weight Tracker makes it a bit easier! Tell it your weight every day and it will tell you how much you have already lost, how much is left to lose and what your body mass index is. That way you keep yourself motivated! Good luck with losing weight! 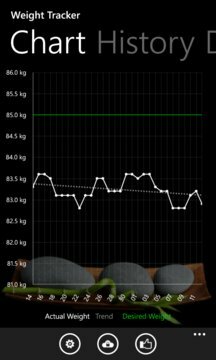 In the trial version you can set your weight up to five times. The advertising is of course only shown in the trial version.